If you have a blog, whether it has 10 or 10,000 daily readers, you’re already sitting on a gold mine. User-friendly platforms, like WordPress and countless web hosting solutions, make it easier to publish content and expand readership. Blogging has also become a community, a network of like-minded folks eager to support and help each other find success online. With blogging, opportunities to make money abound. If you’ve been blogging for a while, you may already be familiar with AdSense, a program run by Google that lets you place ads on your website and earn money each time your readers click on them. This program has evolved into a major profit pool for Google and publishers, and has become an effective way for businesses and advertisers to tap into fans of your website. But did you know that there are many other ways to monetize your blog other than AdSense? Whether you’re looking to turn blogging into a main source of income or supplement your lifestyle with it, the possibilities are endless. And it’s not as complicated as you think it is. It doesn’t matter whether you publish recipes and cooking tips, share travel stories, or give financial advice. There’s something for everyone, regardless of niche. Let’s dive in and explore the many avenues to make money off your blog and learn what it takes to succeed. How does paid blogging work? Who can capitalize on their blog? How much can/do bloggers earn? Since Jorn Barger coined the term “weblog” and pioneered self-publishing online 22 years ago, a lot has changed in the blogosphere. Blogging has evolved from a means for hobbyists and amateur enthusiasts to self-publish to a multi-billion dollar industry, and in its own right, one of the biggest disruptions of the century. The community now consists of a broad spectrum of people and organizations, ranging from teen fashion bloggers to small businesses leveraging editorial content to attract prospects. But this explosive popularity of blogs also has a lot to do with the growing consumption of online content. Consumers now rely more on blogs with real user reviews, case studies, online referrals, and editorials to inform their buying decisions and place less importance on ads. The simple answer to this question is – anyone. Anyone with a blog or personal website can participate in money-making efforts. You can blog about any topic imaginable and still become successful. There’s talk going around online that only “meta” blogs, those that are about marketing, blogging, SEO, and social media, tend to succeed. Sure, most blog stars like Neil Patel, Ryan Biddulph, Brian Clark, and Darren Rowse are at the top of the digital marketing game. But it’s easy to find that there are hundreds to thousands of blogs in traditional niches that make it to the limelight and are killing it, too. Even “labors of love” like jdriso.com, a poet’s account of her travels, and bitofmomsense.com, a blog about all things parenting and cooking with kids, have found success and built a huge following. More often than not, these are blogs with great content and an active community. But even if your blog is relatively young and has a few pieces of content, there are a number of measures you can take to bring your traffic to the next level. How much do bloggers earn? It’s safe to say that there’s no definite answer to this question. But you’d like to have some idea or a ballpark figure just so you know if it’s even worth pursuing. The truth is, blogging won’t make you rich overnight. How much you earn will depend on many factors, like the popularity of your niche, the quality of your content, the time and effort you put in, and how you choose to monetize your blog. But since this article is largely about earnings, let’s talk numbers. The reality is that only a small percentage of bloggers earn enough to quit their day job and live their dream lifestyle. Those who earn a few hundred dollars to several thousand a month are already the outliers. Time is a crucial element in paid blogging, but your blog’s earning potential has a lot more to do with the number of articles you publish. Let’s break that down. In most scenarios, the older your blog, the more content it has. The amount of content you have can directly impact the amount of traffic your site receives in a month. For instance, a blog with about 10,000 words can rake in a few hundred dollars during its first few months, while a blog with over 100,000 words could be inching toward the $500/month mark. It’s worth noting that there’s a wide disparity between how much employed or freelance bloggers make compared to those who run their own blogs. Professional bloggers who write for established sites like TechCrunch, Mashable, Gizmodo, HuffPost, and CopyBlogger (with monthly income ranging from $325,000 to $18 million) can make decent salaries right off the bat. Meanwhile, those who blog from scratch and work their way up would spend the first two years writing content, earning an average of $3.50 per day, if not nothing. But it’s not impossible to have a personal website that’s profitable enough to make you quit that day job, get what you want, and have time for yourself or your family. People like Pat Flynn, the creator of SmartPassiveIncome.com, a website that earns over $50,000 per month on average, and Rand Fishkin, whose personal SEO blog turned into a multi-million dollar SEO software company and thriving digital marketing community. Now, if your blog is relatively young, and your traffic stats have flatlined, you still have a fighting chance. The key is to produce more content. But not just content for content’s sake. The first two years of your blog should be focused on laying that foundation of “worthy” content and building a loyal following. In other words, focus on your readers first, advertisers and affiliates second. Once you’ve established these, monetizing your blog will be the next logical step and should be a lot easier. It’s good content that brings the most traffic and revenue in the digital world. Traditionally, it involves four parties: the merchant, the network, the publisher, and the customer. Sometimes, it involves three parties instead, namely the advertiser, publisher, and consumer. The relationship between these parties is the core of an affiliate program. The process goes like this: The merchant (provider or brand) gives you (the blogger or affiliate) a specific link to its website, then you advertise a product or service of that merchant on your blog however you want with the affiliate link inserted within the content. When your site’s visitor clicks on that link, you’ll get a commission. It works off the premise of revenue sharing. This leaves you the option to sign up directly to a merchant or brand’s own affiliate program, a partner program with e-commerce businesses, or join a marketplace. Keep in mind that whether you choose the direct route or a marketplace or partner program, you will encounter differing payment structures. For instance, some programs may offer big commissions but have high reversal rates, meaning you’ll get nothing if people cancel after signing up. Some programs have site-wide commissions where the rate you earn depends on the profit gained by the entire program and not just through your efforts. Merchants would have their way of tracking if your marketing efforts led to an actual purchase. If you’re working for an established program, like Amazon Associates, ShareASale, or eBay Partners, you can guarantee you’re being incentivized fairly. But still, make sure to set up your analytics tool on your website to keep track of your readers and go over the affiliate program’s agreement carefully. Sift through this list of top affiliate websites and programs to get started. Affiliate earnings vary widely depending on the blogger. It could range between $50 to $20,000 a month, depending on the blogger or the monetization network/technique. But top bloggers like Tom Dupuis of onlinemdeiamasters.com earned $150,000 in 2019. In his report, he illustrates how he managed to pull it off and how his affiliate income was able to get him out of his day job and out of the country for overseas travel. Sponsored blog posting, also known as paid blogging, is a bit similar with affiliate marketing in that it involves a mutually beneficial partnership between the blogger and brand or program. The process is simple: you scour the internet for sponsored blog post opportunities, compare rates and agreements, and sign up. Once you get into the system, you’ll gain access to the brand or program’s pool of articles or receive an email with an article attached. You’ll then publish the article (or articles) on your blog as a sponsored guest post. Programs like these are run by content outsourcing companies, and their purpose is to generate inbound links for their roster of clients (brands, individuals, and businesses). The obvious benefit here is that you’ll get content for your website (a win-win for you and your readers), plus you get paid for it. How is this possible, you may ask? Sponsored blog post programs partner with bloggers and tap into their readership to amp their organic search or link building efforts. Consequently, the more subscribers and unique visitors you have the more money you’ll earn. Paypercontent.com, for instance, pays a premium on blogs with higher domain authority scores, a metric that describes the relevance of a website for a specific area or industry. The program also accepts blogs with DA scores of 10 and above, which means even amateur bloggers can participate. Rates will also vary greatly depending on the length of the article, but you should expect payment in the $25 to $150 range. There’s no strict rule to this monetizing scheme. And there’s no limit to how many sponsored posts you can publish on your blog, but it’s encouraged that you screen the quality of content carefully. Make sure it’s something your readers will appreciate and don’t forget to disclose it in the byline that the post was sponsored. There are two reasons for this: one, Google penalizes sites disguising paid-for content as a natural endorsement, and two, readers value authenticity and transparency. If you haven’t heard, big brands and advertisers are moving away from programmatic advertising vehicles due to brand safety, consumer protection, and fraud concerns. They’re turning to big league publishers (online magazines and news sites) and established ad networks, like the Google Display Network, instead. They are also willing to shell out funds to tap into ad space in niche blogs. Now, you can join an ad network, get gigs quickly, and get a share of the profit, or you can sell your blog’s ad space directly to the brand. Your market can include small businesses, burgeoning entrepreneurs, and big advertisers. This way, you get rid of middleman fees and earn a bigger share of the revenue. But it’s also not just about keeping the whole pie; you’ll also enjoy a quicker buy-in and fewer concerns about transparency. This monetizing scheme works best for blogs with a wide, recurring readership and hundreds of thousands of content, aka blogs that people actually love reading. If you go direct-to-advertiser/brand, it’s much easier to check if you’re serving safe ads to your readers. You also have creative control as you can vet ads before they go live. This lets you handpick ads that are still contextually relevant, don’t disrupt your readers’ experience, and avoid putting off loyal visitors. To get started with this technique, look for active advertisers in your blog’s niche. Give your content and audience a good look and see what kind of brands or advertisers you think would consider your blog to be relevant to their niche. Make a list of potential partners, prepare your rate card and a preferred payment method, make several pitches for each advertiser, and hand in your spec sheet, or terms and conditions you want advertisers to follow. Once you’re all set, reach out to advertisers and put your best foot forward. Keep in mind that while direct selling is great, it can be challenging, especially during the outreach phase. But the key here is patience and persistence. If you believe in your blog and your ad inventory, make sure they know. While your outreach efforts are ongoing, you can also attract advertisers to your site. Here’s a detailed guide on how to pull that off. Tim is an internet lifestyle hacker and entrepreneur who gained an enormous following through his blog posts. Today, he lectures around the globe, spreading the gospel that people can work on their laptops and live the dream anywhere in the world. He’s also living proof that a blogger can make money from their content. If you’ve built enough credibility, gained authority in your niche, and have an endless pool of ideas, it’s time to promote your author brand and start selling books. The first step, of course, is to write a marketable, worthy-of-the-shelf book. Worry about the publishing part later as there are tons of self-publishing platforms, both digital and print, that won’t burden you with middleman fees, paperwork, and politics. Once you’re ready to publish, let your network of blogging peers know and use your website to launch your book. If your book picks up, do what it takes to sustain or even amp up that level of engagement. Use social media, as well as traditional word-of-mouth referrals, to generate buzz. This will help you get noticed by traditional publishers. Most blog stars we know started from the bottom. But they’re at the top of their game because they’re really good at what they do. They never stop learning and improving. And they’re always sharing their ideas on any channel possible. Don’t limit yourself to blogging. Help others succeed through online courses and coaching services in exchange for a reasonable fee. You’ll be amazed by how many people sign up for these activities. Most people aspire to leave the rat race and run a blog that can sustain or even elevate their lifestyle. Whether you created an effective time management model, discovered home organizing tips, or solved the successful blogging puzzle, don’t hesitate to share them with your readers. Don’t just share your income report. Show your audience how it can be done. Include a video or podcast series dedicated to sharing tips, tricks, and other nuggets of advice that you’ve picked up along the way. But before you even launch the online course, make sure you have your scripts ready, have decent recording gear, and experts to help you out with the technical aspects. Then schedule your sessions, promote them on your blog, and send out notifications so that the material doesn’t get buried. After each session, engage with your viewers. Hold a Q&A session and allow them to comment on your material or provide feedback through accessible means. And don’t forget to answer queries and respond to criticism politely and positively. If you’d rather do the teaching face-to-face or through private phone or video call, offering coaching services is a great option. But before diving into this venture, ask your friends and family if it’s a good idea, or send out a survey to your most loyal readers. Gauge their reactions and answers, and if they agree that you can be a successful life coach, go for it. No matter what industry or niche you’re in, be it travel, lifestyle, health, dating, or finance, there’s always a market and potential for coaching. Check out how this guy makes over 40,000 per month coaching online. Commit to your blog. Like any profession or business venture, blogging only becomes a success if you put your heart into it. The first few years will be excruciating, but it’s important to keep your nose on the grindstone if you desire a blog that people enjoy and earns while you sleep. Create value-packed content. If you want to be a full-time blogger who earns $20,000 per month like Lindsay of com, keep your eye on the goal, which is to produce content that actually makes a difference in people’s lives. Do you need to be an exceptional writer to do so? Not necessarily. Focus on your skills and ideas that help solve other people’s problems and communicate them in the most sincere, honest, and compelling way. And don’t forget to keep your content media-rich, fluff- and error-free, and readable across all screen sizes and devices. Keep your subscribers happy. Advertisers and affiliates don’t just pay for your content, but they pay for your readers, as well. 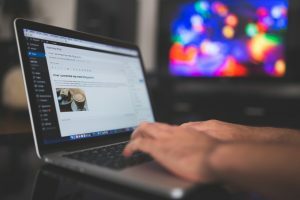 Put in time and effort to promote your blog across social media or offline among your family and peers to attract more subscribers and unique visitors. Then, engage them regularly with fresh content (one-two posts/week, four-five posts/month), social media updates, occasional emails, promos, freebies, and quizzes. Build lists, nurture new and old subscribers, and make sure you’re not forgotten. Disclose brand relationships. Serving ads online is getting a lot trickier by the second. Chances are most of your readers have ad blockers installed. Sponsored posts don’t get blocked, but if you don’t let your readers know some of your content is paid for by advertisers or brands, your credibility might take a hit. Make it a habit to disclose a sponsored post in the byline with the advertiser or brand’s name or website link in it. Ignore the naysayers. A majority of bloggers find monetizing as a way of selling out. But they’re missing out on a lot of opportunities. You have full control over what goes into your blog. In short, sponsored posts and ads are what you make of them. Ignore critics and purists, and do what you need to do to achieve your dream. There’s no doubt you can earn cash with an engaging blog, whether it’s a personal archive, an extension of your office, or a place to share your crafts or hobbies. A few years down the road, it can even give you a steady source of income. But it’s not a quick-cash scheme you can master overnight. It takes a great deal of time, patience, and understanding of how the process works. 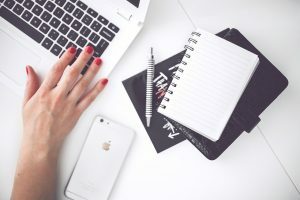 Try your hand at these blog monetizing techniques and see what works for you.